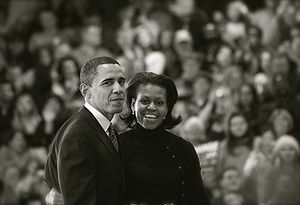 The Amateur is more about the man—his hubris, his arrogance, his naiveté—than it is about his ideology because the author, a member of the insider Council on Foreign Relations, an influential group that promotes the diminishing of our country’s constitutional structure and the ceding of U.S. sovereignty to a transnational global government such as the United Nations, no doubt shares that ideology. Klein is a certified member of the establishment elite, having graduated from Columbia University with two degrees and having been a foreign affairs editor at Newsweek magazine and a former editor of the New York Times Magazine. 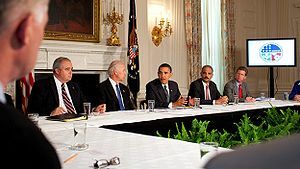 It was the latter position that allowed him the opportunity to interview nearly 200 individuals who are acquainted, some of them intimately, with the current White House occupant while protecting Klein and his book from attack by the Obama “Kool-Aid drinkers” as he calls the mindless, witless journalists and historians who have supported Obama from the beginning. 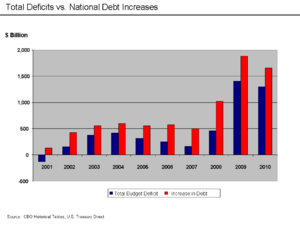 The national debt will harm ordinary Americans by reducing the number of jobs, lowering living standards, increasing inequality, and forcing a sudden and drastic reduction in the government services we now take for granted…. They debunk the myth that such crucial programs as Social Security and Medicare must be slashed to the bone. White House Burning looks squarely at the burgeoning national debt and proposes to defuse the threat to our well-being without forcing struggling middle-class families and the elderly into poverty. The authors, Simon Johnson (formerly the chief economist for the International Monetary Fund and now a professor at MIT) and James Kwak (associate law professor at the University of Connecticut and a fellow at Harvard Law), have based their book on a set of statist foundational principles about the role of government in a free society: More is better. “Truth is stranger than fiction, but it is because fiction is obliged to stick to possibilities,” Mark Twain said. Obviously, when conspiracy and deception are involved, the truth can be particularly strange—and it can also be particularly hard to unearth and then make widely known. Such is the case regarding the conspiracy to assassinate President Abraham Lincoln. Moviegoers worldwide have enthusiastically rewarded Robin Hood since its opening in May with gross ticket sales of more than a quarter of a billion dollars, and the film is well in the black for Universal Pictures and its producer Ridley Scott. Predictably, liberal reviewers have taken significant verbal umbrage at the underlying theme of the film: lower taxes and less government.